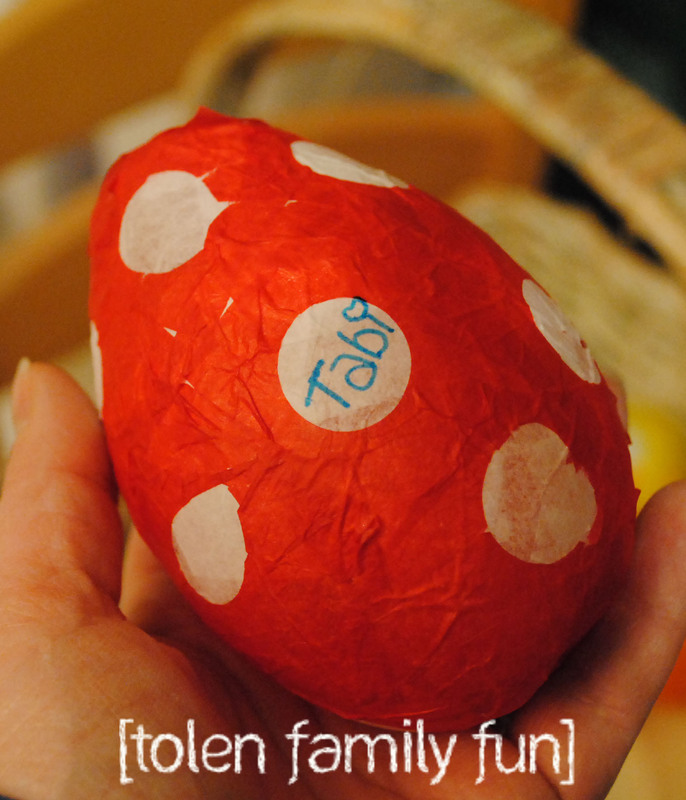 I finished some projects for Easter at Gobi’s house tomorrow. 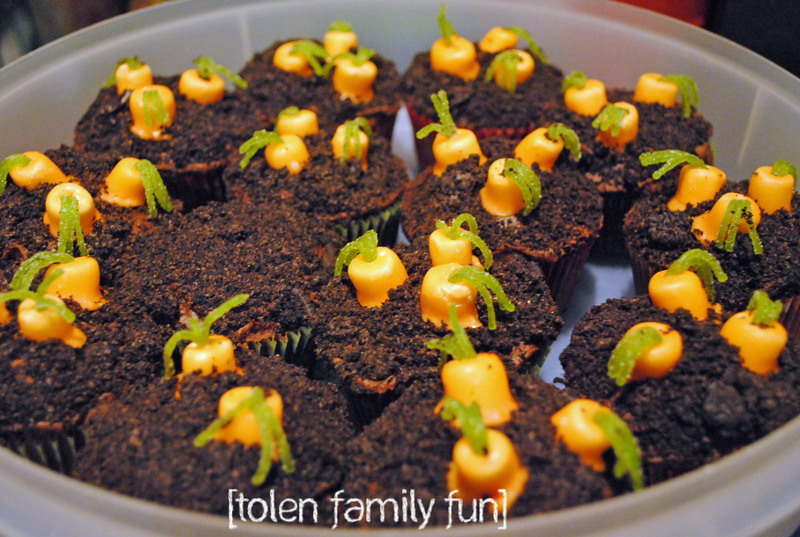 I made the carrot cupcakes I saw at Frog Prince Paperie. Visit her site because her’s turned out much better than mine. I couldn’t find the edible grass OR the orange candy melts so I used pull and peal candy for the stems and I made a thick orange glaze to dip the marshmallows in. Mine look cute as long as the pictures aren’t side-by-side :)! 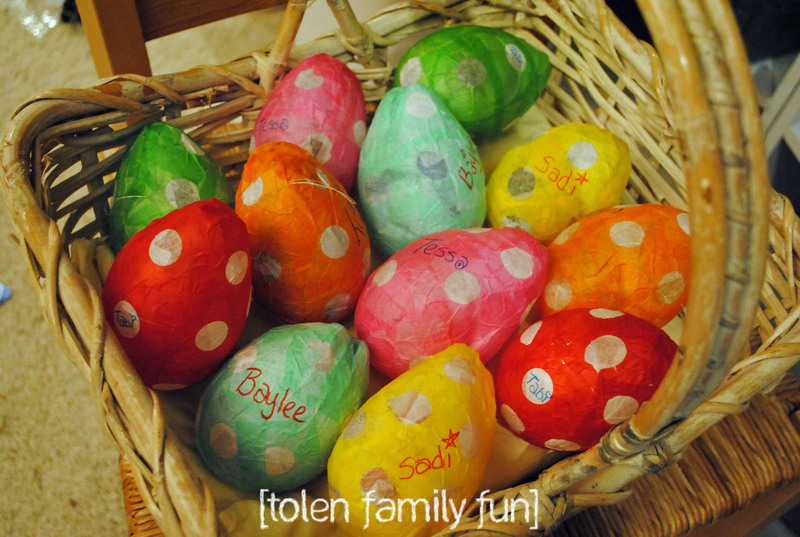 I also made the papier mache’ eggs I saw at Not Martha. I used water balloons too, but some of mine weren’t quite egg shaped AND I didn’t put enough layers of white tissue paper on a few of them. T1 & T2 helped and loved them. I think T1 even posted on facebook. 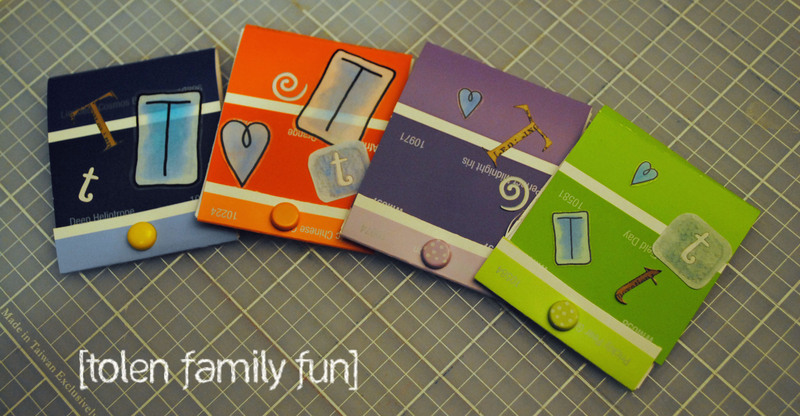 I made some paint chip matchbook notepads to put inside the eggs. This is a post I saved from a few months ago from Embellishing Life. I let T1 but the stickers on the front. I also embellished a onsie with a sailboat for my in utero nephew baby bean. 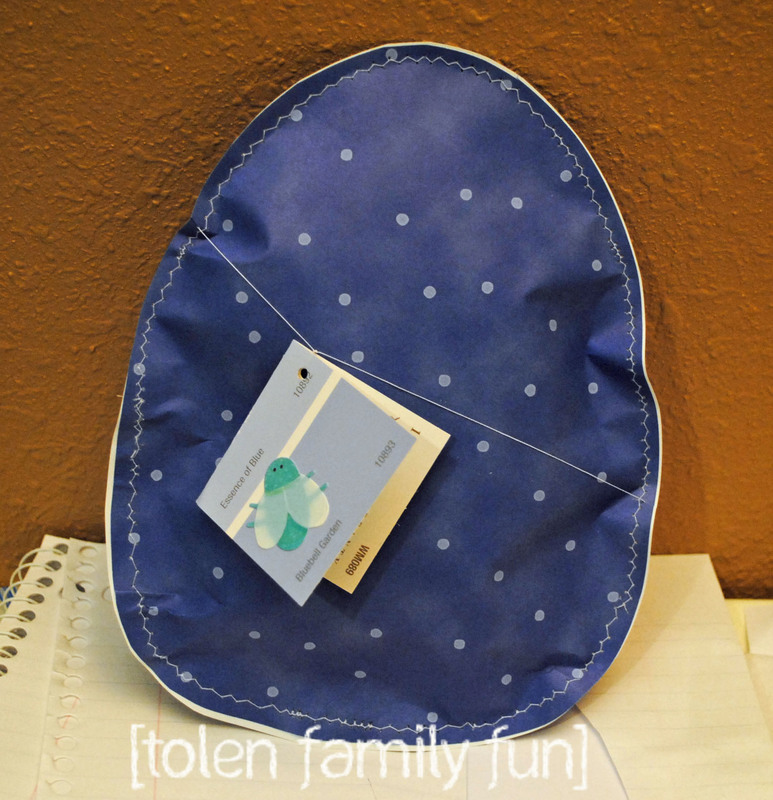 I, of course, didn’t get a picture of the onsie, but I did get a pic of the paper egg I sewed it into and the paint chip card I made for the outside. 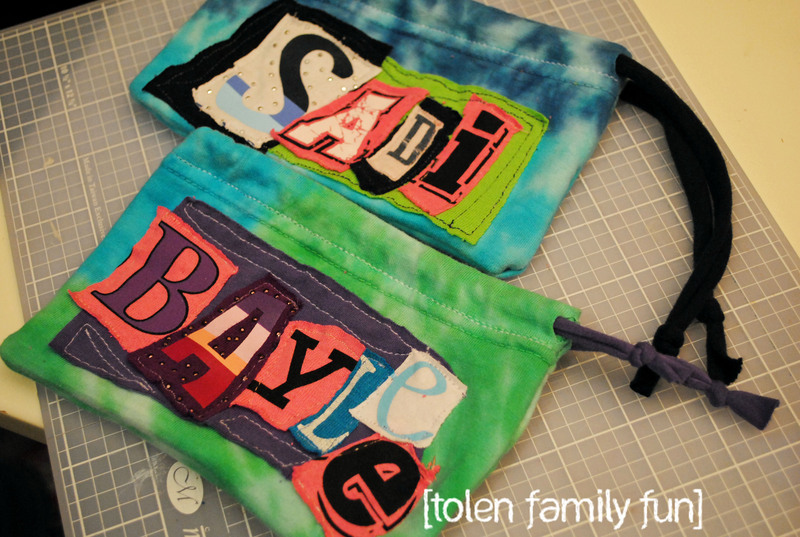 And since I haven’t seen my nieces since Christmas, I made them upcycled pouches to take back home with them. I also managed to get a baby gift ready for a shower tomorrow and finished a VERY late birthday gift for my mom. Now it’s time for bed! I wish you all a great Easter, celebrating the resurrection of Jesus. I am a mom to four wonderful kids, a wife to a great man, a teacher, and a crafter. This is our family blog where we share projects, recipes, and ideas from all of us.